We offer state of the art obstetric and gynecologic ultrasound including 3D ultrasound. Our certified ultrasonographer has more than 20 years experience in obstetric and gynecologic ultrasound. She provides quality ultrasound exams in a comfortable, personal environment. Advances in surgical techniques are giving women more options to consider when discussing gynecological issues with their physician. 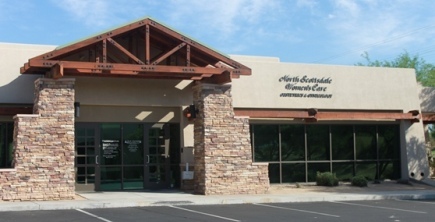 The physicians at North Scottsdale Women's Care can recommend a variety of treatment options, and only perform surgery when absolutely necessary. New procedures like the robotic Da Vinci Hysterectomy, endometrial ablation for heavy bleeding, Essure surgical sterilization procedure and urinary sling procedure for the treatment of urinary incontinence are all minimally invasive procedures with quicker recovery times. In office procedures include endometrial ablation for the treatment of heavy bleeding, and Essure surgical sterilization. When indicated these procedures are available in our office for the convenience of our patients. These nonincisional procedures afford our patients a quicker recovery with less pain. An experienced phlebotomist is available during regular office hours to fulfill our patient's laboratory needs.